After recently going through the house-hunting process, I learned something. Real estate agents can be terrible copywriters. I’m biased of course. I make my living as a writer. But it made me cringe to think about how little some agents cared about their real estate descriptions. After all, they’re trying to sell some of the highest ticket items around. The point of real estate copy is two-fold. It should make people interested enough to go see the house in person. And it should be honest so they don’t visit the place only to feel repulsed by the load of BS you just fed them. That’s not a good way to get them to consider your other listings if the first doesn’t work out. Here are some specific problems I came across on a repeated basis. Incomprehensible Copy — General poor writing is a rampant problem in real estate copywriting. If you have three spelling errors in your first sentence, your description becomes difficult to read. If you can’t even string together a sentence, you have bigger problems. A bunch of sentence fragments incoherently lumped together in a block of text will not leave readers wanting more. Copy That Doesn’t Adapt to Different Lengths — You can’t have just one real estate description. If it’s going to be used on different platforms, make sure you have multiple versions available (such as for the newspaper versus your own agency’s website). If your listings are found on sites where they’re cut off halfway through, your prospective buyers can’t get the full picture. Abbreviations Buyers Don’t Understand — I understand your space can be limited. But that doesn’t mean every other word in your real estate description should be abbreviated. Stick to common abbreviations only. Anything else should be written out or left out. Sometimes less is more — especially if “more” makes absolutely no sense to half of the buyers reading the description. Blatant Lies — Don’t lie. Ever. I don’t care if you think X sounds better than Y. Don’t feed people straight-up BS in a desperate attempt to get a showing. They will remember what your ad said. And they will be pissed off when they find out the truth. That doesn’t mean you need to bring up negatives. But don’t let sugarcoating turn into downright deception. We’ve looked at some of the specific problems in real estate copy. Now let’s look at some basic good copywriting practices that can help you improve yours. Focus on benefits. — Many real estate descriptions only focus on features of a home. That’s a major no-no in the copywriting world. Your primary emphasis should be on the benefits to the homebuyer. Features can provide those benefits, but they shouldn’t just be cranked out in list form. Forget about first person narratives. 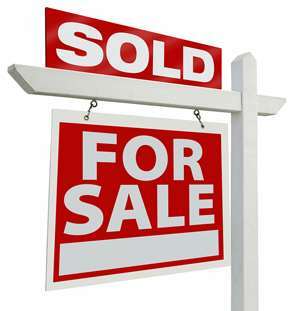 — Homebuyers don’t give a lick what you as the seller’s agent think about the house. The word “I” should never appear in your listing. We know you’re being paid to sell the place, so anything you say on a personal level is suspect anyway. Don’t waste space telling us how pretty you think the landscaping is or that you’ve never seen anything like it. We. Don’t. Care. Abandon adverbs. — Go back to the space issue. If you’re at the point of abbreviating random words, save space by cutting adverbs instead. For example, a listing I read this morning used the phrase “quite impressive” to describe a staircase. Trust me. If it’s impressive, it doesn’t need the qualifier. Eliminate exclamation points. — Here’s another phrase I saw in a listing today. “Family Room with Fireplace!!! !” There are so many things wrong with this, from the absurd exclamation points to the sentence fragment to the random capitalization (another very common problem). Kill the CAPS LOCK. — Every time I see a real estate listing in all caps, I want to cry. First, it’s painful to look at. Second, in Web speak it means you’re shouting at someone. And third, it’s amateurish. It shows you don’t know how to emphasize what’s important, so you end up emphasizing nothing at all. Experiment with the inverted pyramid. — In news writing, journalists use something called the inverted pyramid. This means you hit the reader hard with the most important information up front, then you give them less important but still substantial details in the middle, and you leave the fluff for last. Not everyone will read your entire description. This method makes sure they at least see the most important bits. For example, most buyers probably care about things like bedrooms and bathrooms. If the house has truly unique features for the area (like an indoor pool or bowling lane), don’t wait until the end to mention them. On the other hand, a dishwasher and first floor laundry area might be good to know about, but they’re not likely big selling features. Leave them until closer to the end. If you’re a real estate agent, look back over some recent listings. Did you make any of these mistakes? Have you recently worked to improve your marketing copy? If so, how has it impacted sales? Share your thoughts in the comments below. Mesothelioma – Are Some People Genetically More Likely to Develop it? Smart insights into typical real estate agent methods. The funny thing is that other recent homebuyers I know see a lot of the same problems in real estate marketing methods. I find it baffling that the real estate agents themselves don’t pick up on some of these things. Perhaps it’s just a case of being too comfortable doing the same old thing over and over again. One thing I know for sure is that when the time comes for my husband and I to sell our place, I’ll likely take on most of the marketing myself. I love my agent. But in this market, you have to stand out.